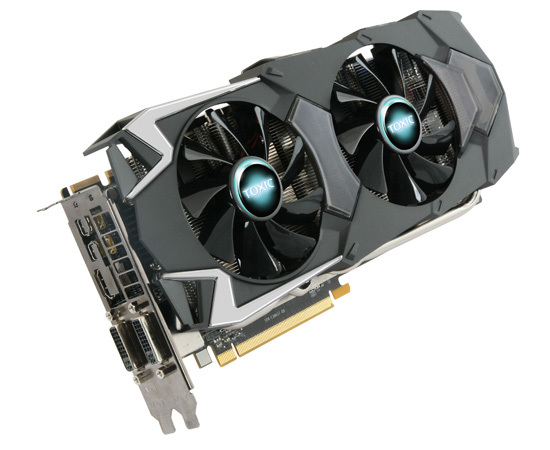 Like your graphics cards ultra-fast and unadulterated, then how about this for a scorching competition; we've got a brand-new Sapphire Radeon HD 7970 TOXIC, based on the all-new XT2 GHz technology, just waiting to be won! Just in case you need reminding, this is very much the Radeon HD 7970 you know and love - with 2,048 processor cores, 128 texture units, 32 ROPs and a 3GB frame buffer - but the GHz Edition comes clocked in at a cool 1,000MHz on the core and with memory operating at an extreme 6,000MHz. Throw in a bit of frequency-ramping PowerTune technology, and this beast has the cojones to stake a claim for the title of world's fastest single-GPU graphics card. However, adding some spice into the mix, Sapphire is cooking up a reference-beating card in every respect. The TOXIC card you will win, pictured above, has higher clocks, a better cooler, and potential to run even faster. It's a competition not to be missed, and we're giving you two ways to enter - either fill out the form below, or enter via our dedicated Facebook competition page. And don't forget - you can enter using both methods to get a free second entry and increase your chances of winning! What are you waiting for? Fill out the form below then head over to our Facebook page to claim your free second entry. We'll be pulling the name of our lucky winner out of a hat shortly after the competition closes, so good luck! Struggling to identify the correct answer? Here's a hint; you'll find all the info you need on the first page of our in-depth Radeon HD 7970 GHz Edition review. And we're not finished yet. We also have five runners-up prizes of Steam keys for the lovely-looking DiRT: Showdown. Ooooh, epic competition :) Only problem is, if I win this I'll have to upgrade the rest of my PC to keep up! nice competition hexus ! gl ! Very nice! Would love to win this!